Date: Feb 16 2019, 4 a.m. Enjoy a delicious day in which we will sample both of Switzerland's favorite exports, Cailler Chocolate and Gruyères Cheese! In the village of Broc, you will enjoy a hands-on tour of the Cailler chocolate factory. This sensory smorgasbord culminates in an all you can eat tasting! But don't stuff yourself silly, you’ll need to save room for our next stop, the La Maison du Gruyère cheese factory in Gruyères! After touring the cheese factory you can sample the local cheese at 3, 6 and 9 months of aging or buy a fondue meal in the restaurant. 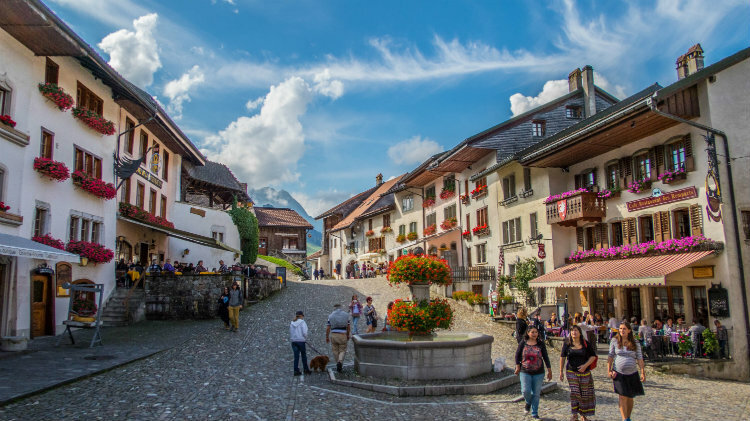 After both factories you will have time to visit the medieval castle or any of the other museums in the village of Gruyères. Reserve your spot on this delicious day trip today by calling Kaiserslautern Outdoor Recreation. Children under 12: $89 p.c.